Entergy Mississippi, Inc. issued the following announcement on Aug. 22. Entergy Mississippi, Inc. has taken another step toward modernizing the electric grid and building the utility of the future. The company intends to purchase the Choctaw Energy Facility, a modern power plant in French Camp, Mississippi, subject to regulatory approval. The plant is a clean and modern 810-megawatt, combined-cycle natural gas turbine unit owned by a subsidiary of GenOn Energy, Inc. Entergy Mississippi entered into a purchase agreement on Tuesday, August 21, 2018 to buy the plant for $314 million, subject to certain adjustments. That amount is significantly less than the cost to build a comparable facility and eliminates construction time and risks associated with building a new plant, providing more immediate benefits and savings for customers. The transaction is expected to close by the end of 2019, subject to receipt of required regulatory approvals and satisfaction of customary conditions to closing. The plant now employs 23 people; Entergy plans to add nine more, making 32 jobs at the Choctaw County facility. The plant uses advanced technology known as a combined-cycle gas turbine. 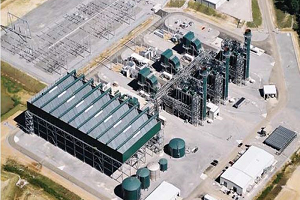 CCGT technology uses natural gas and its steam byproduct to produce maximum electricity at the lowest cost. It is also environmentally-friendly and furthers Entergy’s reputation as one of the cleanest utilities in the country. Want to get notified whenever we write about Entergy Mississippi, Inc. ? Next time we write about Entergy Mississippi, Inc., we'll email you a link to the story. You may edit your settings or unsubscribe at any time.